Ronni Lundy, the author of “Victuals: An Appalachian Journey, with Recipes” (Clarkson Potter, 2016), has been writing about the food, music and culture of the southern Appalachians and the American South for more than 30 years. Victuals has won the James Beard Awards for Book of the Year, and Best American Cookbook, as well as the award for Best American Cookbook from the International Association of Culinary Professionals. 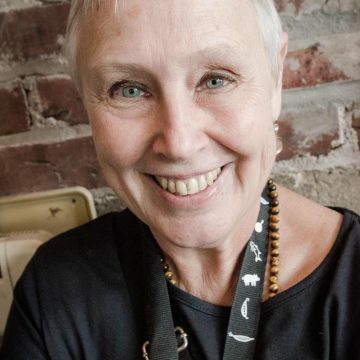 Ronni’s other nine books include “Shuck Beans, Stack Cakes and Honest Fried Chicken” (Atlantic, 1990), named by Gourmet as one of the six essential cookbooks on Southern food, and “Sorghum’s Savor,” (University Press of Florida, 2015). Lundy was also the editor of “Cornbread Nation 3: Foods of the Mountain South” (University of North Carolina Press, 2005).